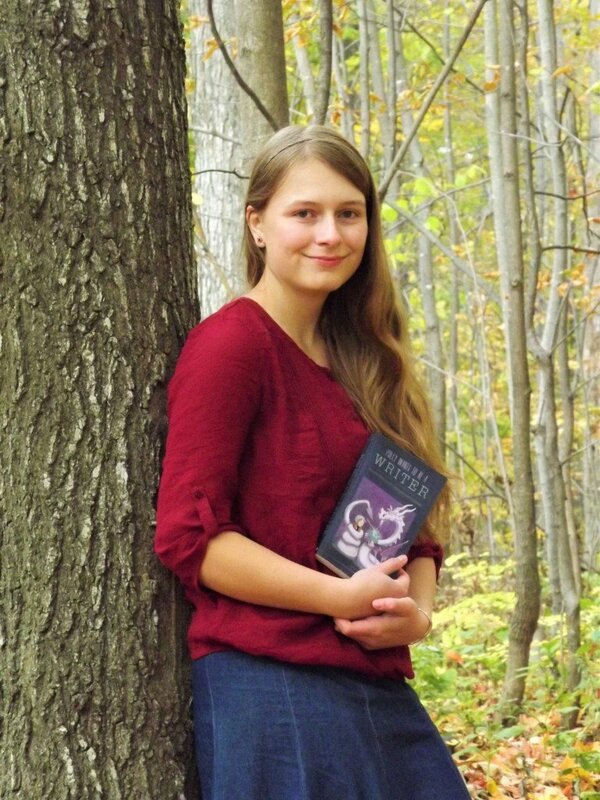 The recipient of the 2015 Polly Prize for Creative Writing is Sierra Ret of Ontario, Canada. With frankness and humour, Sierra connected her writing life with the life of Polly in Polly Wants to Be a Writer. The essay is easy to read and relate to because she speaks in specifics rather than in generalities, sharing concrete details about her literary goals, dreams and successes. Sierra has won the prize of $250 CAD cash from Laura and LTC. Well done, Sierra! Sierra purchased her copy of Polly through an email offer on the LCT Insider Plus+ mailing list. This question seems to stalk and haunt our current generation, who, faced with more choices than ever before in human history, find themselves unable to make any. How can I possibly be expected to put all of my hopes and dreams and aspirations into a single sentence? And even if I could, will anyone take me seriously? I want to be a writer, my seven-year-old-self declared proudly in scrawling letters across the top of a sheet of lined paper, accompanied by vibrantly coloured stick figures. I didn’t know Polly back then, but already I was like her: full of excitement and budding dreams as I scribbled down my first story. Unfortunately, we were too similar for my own good. Like her, I had plenty of ideas but lacked the resolution to get them down on paper. I gave up writing for procrastinating. I still scribbled out stories here and there, but was hopelessly undisciplined in my efforts. Other interests took over. I began to answer the what-do-you-want-to-be question in different ways: veterinarian, nurse, medical officer in the Canadian Forces, paramedic–the job titles changed as I grew and read more, but all were alike in their practicality and reliable salary. My literary dragon, still unbeknownst to me, must have thought things looked bleak indeed. Then, I came across a book. A book that promised to be something entirely new. A how-to guide and adventure novel in one, brimming with helpful advice for young authors to jumpstart their writing careers. It sounded perfect. And so with an excited click of my mouse, I ordered it. It only took me a few chapters to realize this surprising fact–I did not like Polly. At all. Who was this girl, who moaned about first drafts and the difficulty of finishing stories? I had successfully finished plenty of stories on my own, thank you very much! Why did she make it seem so complicated? And what on earth was a literary dragon? I nevertheless finished the book and disgruntledly stowed it away on the back corner of my bookshelf. But the next time I came across a short story contest, my mind strayed back to Polly’s tale. Even if I didn’t like the girl, Ms. Whitford’s advice had still seemed helpful. Maybe that six step writing process would be useful after all. Encouraged, I managed to strive onward with that first draft and complete it. I found the strength to silence my literary dragon- even though I was still reluctant to admit I had one at this point. I ended up doing a complete rewrite of that story, which I titled “Nothing More to be Said”; but I had passed a turning point. From then on the milestones began to come thick and fast: my first winning entry in a short story contest, my first freelance ghostwriting job, my first paycheck for writing. It was exhilarating. Slowly that nearly forgotten dream of calling myself a writer began to awaken itself. Wait. Did I just echo Polly, the girl and wannabe writer I had looked down upon? Was it possible that we really were more alike than I first thought? And most importantly: did I really have a literary dragon after all? The answer to all these questions was, quite simply, yes. In a period of less than a year, I had gone from someone who didn’t even know she was a wannabe writer to a full-fledged published author. A lifetime of reading and scribbling had finally translated into genuine, purposeful writing. And all it had taken was a little nudge from Polly. I know that in many ways I am still a lump of clay myself, with much to be molded and improved upon. I have so many goals and dreams, from wanting to finally publish my co-authored adventure novel with my sister to seeing a column in one of my favourite newspapers with my name under it. I have yet to make it beyond the prologue of the first book of my dystopian series, and freelance writing online is turning out to be a lot more difficult than I first thought it would be. There are so many writers out there trying to make a name for themselves and jobs are extremely competitive, so the struggle to stand out from the crowd often seems overwhelming. But I’m not going to give up. There are limitless writing opportunities around me, and I want to try and pursue as many as I can. Winning this prize would be both hugely encouraging and validating for me, not to mention financially helpful. My parents have always taught me to save and spend my money wisely, and I am proud to say I independently purchased the very laptop that I am typing this essay on. The hard work of saving and waiting to finally own my own device was difficult, but invaluable. Writing, like everything else, costs money, from Microsoft Word subscriptions to manuscript consultations (which I think I’ll be needing after this year’s NaNoWriMo), and this prize would go a long way towards helping that. Even now as I look back over this essay and the words I’ve written, I can see how much I’ve grown as a writer and the journey I’ve been on. I still haven’t learned to control my dragon perfectly yet (I hate to admit I went back and rewrote the first three paragraphs before I finished this), but he and I are well on our way to becoming friends. Even now I am expecting in the mail a copy of my very first published work in print–the short story I wrote after reading Polly. Nothing More to be Said was accepted for publication and released this month in a national collection of short stories by Canadian youth. I can’t wait to hold it in my hand and know that both of us–me and my dragon–brought it into existence. Thank you Polly, for helping me to realise that you and I have far more in common than I first thought. For realising that I do in fact have my own literary dragon. And most of all for changing my answer–I do want to be a writer after all. When Laura first emailed saying that she wanted to call and talk about my essay, I internally panicked. I had felt a bit nervous beforehand submitting an essay that initially criticised a book written by the judge of the contest, and now I was convinced that whatever Laura wanted to say to me, it couldn’t be good. It never even entered my mind that she might be calling to tell me I had won. That was a complete shock–but a good one. It still comes as a surprise to me sometimes how much I’ve grown to love writing in the past few years, and I am immensely grateful to Laura for hosting a short story contest back in 2013 that kick-started my passion. But I know for a fact that I’d never have won this prize without my family, who has loved and encouraged me the entire way, and most of all nurtured my God-given love of words and story. Thank you all. Congratulations Sierra! This is a very well-written essay and was a pleasure to read. You definitely deserved this prize :), and good luck with your future writing ventures! Thanks you for your lovely comments, Suki! I’m glad you enjoyed it. All the best to you too. Thank you Vienna, I’m glad you enjoyed it! Wonderful job! I love your essay and was especially encouraged to see a small few words in your little tack-on about winning the essay about your God-given talent! Yes! What a wonderful thing to know there are other young writers out there that see their writing as a gift from our Heavenly Father and also as a way to witness for him! This is my passion and desire, to use my writing for Gods glory! I would love to talk more writing through e mail! My Email is: hannahgoulet@littleloon.ca! And, sorry, my name is Hannah ;)!! Glad you noticed that Thank you so much for your encouraging words! Congratulations, Sierra! This is a wonderfully written essay. Good luck on your future writing endeavors!